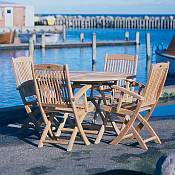 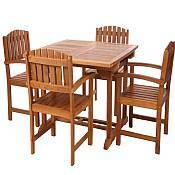 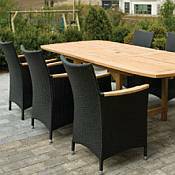 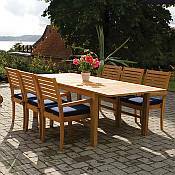 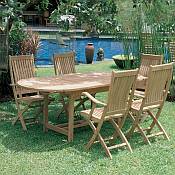 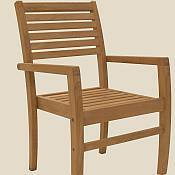 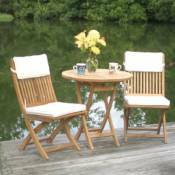 Teak wood has long been a highly desirable material for Outdoor Patio Furniture. 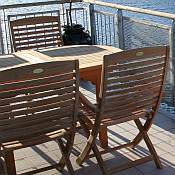 Teak is a beautiful and extremely durable tropical honey colored hardwood that is naturally resistant to insect infestation and mildew. 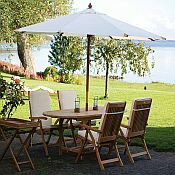 Teak Patio Furniture can successfully and beautifully endure the rigors of harsh weather conditions for more than 50 years without much maintenance, making it a favorite choice among busy homeowners as well as among homeowners who simply do not wish to spend much time caring for patio furniture. 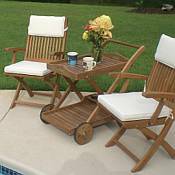 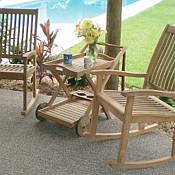 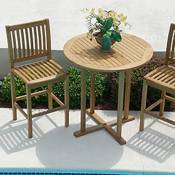 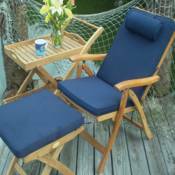 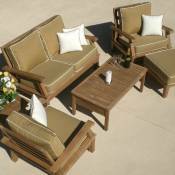 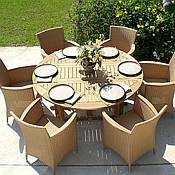 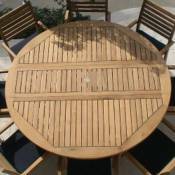 Teak Wood Furniture is often one of the more expensive types of wood patio furniture available, but the Teak Furniture offered through BackyardCity.com is among the lowest priced that you will find. 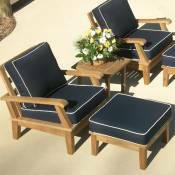 The high quality, exceptional durability, and affordable beauty, make it the perfect addition to your backyard patio, deck, or porch.